Are you looking for beautiful and long-lasting custom made malas, bracelets, and more? Check out Annie G Malas. She has already completed several personal orders for me. She is incredibly intuitive when it comes to designing malas and bracelets, so much that, they have always come out better than I even imagined! doTERRA oils were some of the first oils I used in my home. They can be used to support emotional and physical wellness. I started off with the essentials and the collection grew from there. I always have lemon nearby; and clove and eucalyptus for my travels! You can test out the lemon in the classes I guide or shop doTERRA by clicking on this link. I have grown fond of using essential oils in classes and for myself. Healing Solutions is one of my go-to essential oil providers! Along with single oils, that many of us are familiar with like lavender, they have an array of blends to choose from. If you’re curious about them check out their website or come to one of the classes I guide and test them out for yourself! There are many beautiful and creative props out there that can help to enhance your yoga practice. One of them is The Shakti Yoga Wheel! I enjoyed using it from the moment I took one of their workshops. It brought a new, challenging, and fun way to experience my practice. 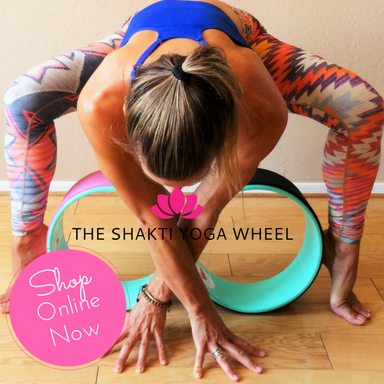 If you’re interested in exploring your yoga practice with a yoga wheel check out the affiliate links on this page!